This is Gwyn Jones Alacrity "Morannedd". Gwyn lives in North Wales, UK. The name means "House on the Sea". 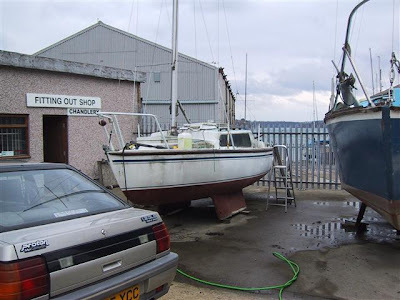 The pictures are from 2000 when Gwyn first bought the boat. Since her running rigging has been replaced and the topsides painted. 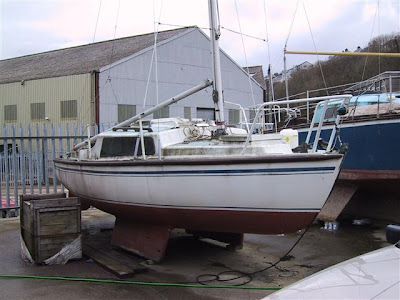 Gwyn has sailed the boat in the Menai Straits for 4 years, but the last two years she has been out of the water for an extended overhaul. Gwyn plans to have her ready again for the 2007 season and will send more pictures then.